Author: Myers, Tamar Set In . . . When Colonel George Custard arrives in Hernia in a shiny stretch-limo, the town isn’t exactly enthusiastic. And when he announces that he plans to build a glitzy new hotel in Hernia, the residents are outraged at the threat to their quaint, quiet town. Protests soon get heated! 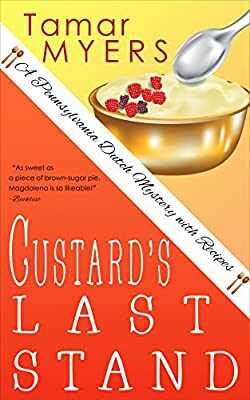 As usual, Magdalena is right in the thick of the action—especially when the colonel is found shot to death at the PennDutch Inn.